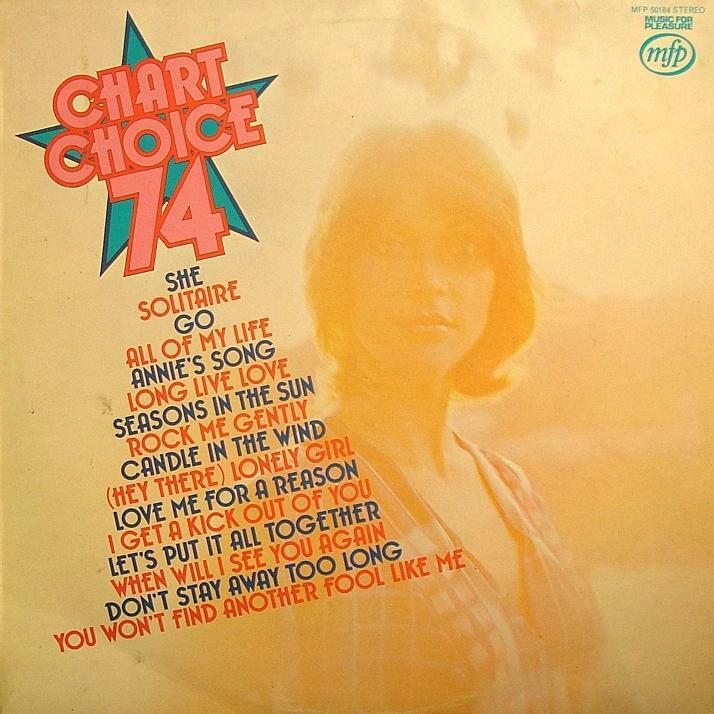 This was the first post-Bill Wellings album, and commenced a new series. 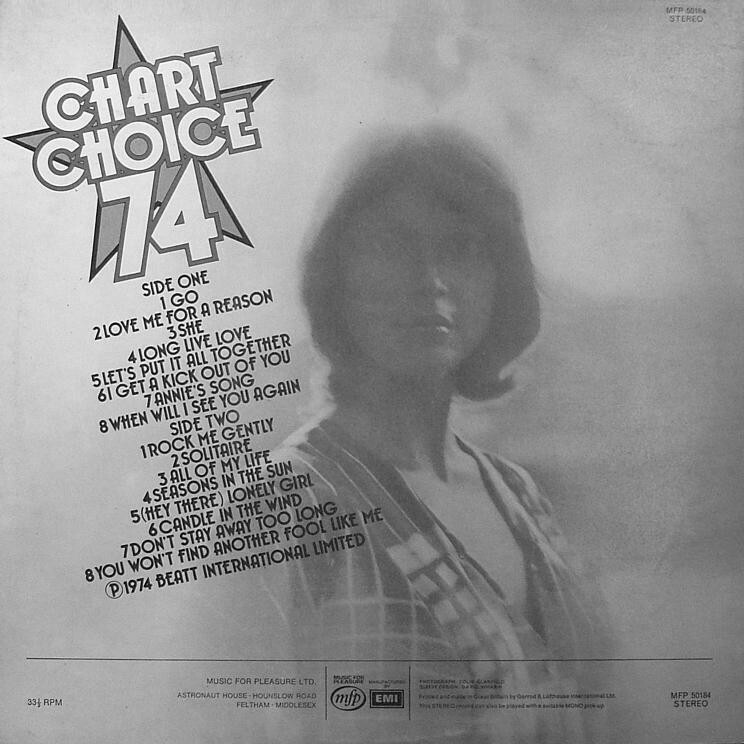 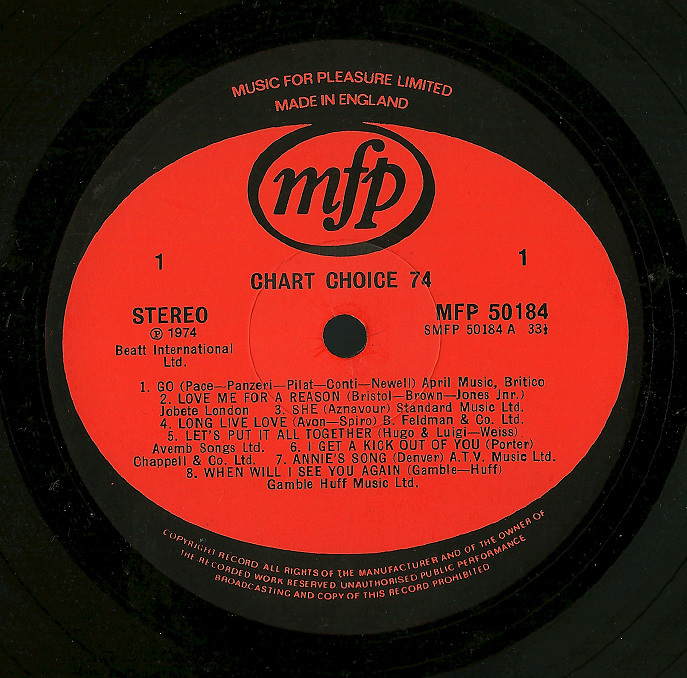 This album is a review of the charts of 1974, but of course has no MFP albums to draw on. The music is supplied by Beatt International, who were also supplying rival series such as Parade of Pops on the Windmill label, and 16 Chart Hits on the Contour label. 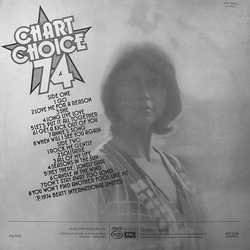 Much of this album can be heard distributed across these records as well. With the songs being bought in, MFP elected to squeeze 16 titles onto the album.